After her victorious moment during the 2015 MMFF for winning the Best Actress Award for the second consecutive year, Jennylyn Mercado once again makes a big noise in another remarkable romantic movie entitled “Just the 3 of Us”. Not only that, what makes this exciting film even more exciting is the fact that she will be working hand in hand for the first time with one of the Philippines’ finest and most well-loved dramatic actors of all time, John Lloyd Cruz, who recently just had earned international success in his movie with Piolo Pascual, “Hele Sa Hiwagang Hapis”. 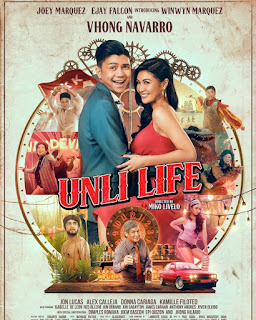 This is actually Jennylyn Mercado’s first time to do a movie with Star Cinema, which is obviously known as the film production of her home network’s toughest rival. It’s also her first time to work with Director Cathy Garcia-Molina who is also well-known for directing exceptional rom-com movies in the Philippines today. Jennylyn remains a Kapuso, though. In this highly anticipated movie of the year, John Lloyd Cruz plays the character of Uno, a handsome and popular pilot, while Jennylyn Mercado takes the role of CJ, a bubbly lady who works in an airport. The story is very simple: CJ has a huge crush on Uno, who at first seems not interested on her. Unexpectedly, a night of being together became a turning-point in their lives. CJ claims she was impregnated by Uno and so he had no choice but to have her live with him until such time he proves the baby is not his. Although the plot of “Just the 3 of Us” appears to be “ordinary” as seen on its teaser trailer on YouTube, this 2016 movie remains something that rom-com fans should be eager to see when it hits the big screens on April 27, 2016. Answers on questions like ‘does the baby really belong to Uno?’ and ‘regardless of the situation at the end, will Uno and CJ get into a lifetime romantic relationship?’ are just some of the exciting things to find out.